Jenny - what an adorable layout! What a cute idea! Love it! My SIL is way into ladybugs. I'll have to use your idea for a layout for her. First of all... I have to say that I LOVE this layout! 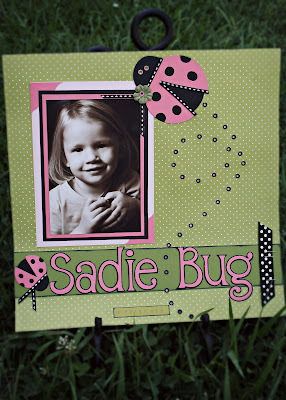 I am a Ladybug myself and love how you designed this page!! Second of all... I just wanted to thank you for your comment on my Pink Penguin Tissue box over at the CHRISTMAS WITH THE CRICUT blog!! You are too sweet and I appreciated your comment on the legs of my box. Thanks for visiting!!! This is so awesome, Jenny! I LOVE your layouts! Cute, cute, cute!! I hope you're doing well!!! hugs! this is beautiful..love the colors.. 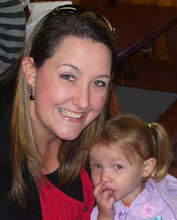 I too have a little something for you on my blog..it is to show gratitude for always leaving love when visiting my blog..
Jenny, this is so adorable!! Great LO! this layout is fantastic! i simply adore it and it is soooo cute! you are very creative and i am so glad you are on their DT! hugs!